I've had a few good weeks for good news. 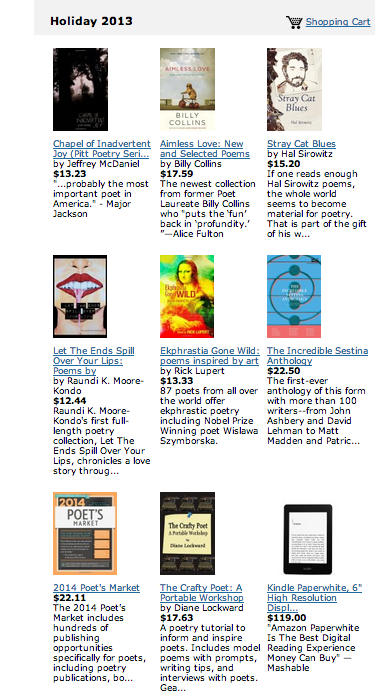 I recently signed up for Poets & Writers Thursday e-newsletter. It comes each week and includes a fiction prompt, a poetry prompt, and a Best Books for Writers recommendation. Look what came this week! 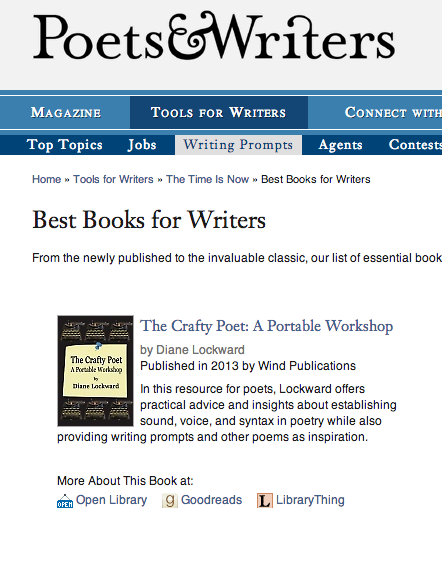 I am thrilled to have my book The Crafty Poet listed as a Best Book for Writers. This recommendation appeared not only in the newsletter but also at the P&W website where it will remain. 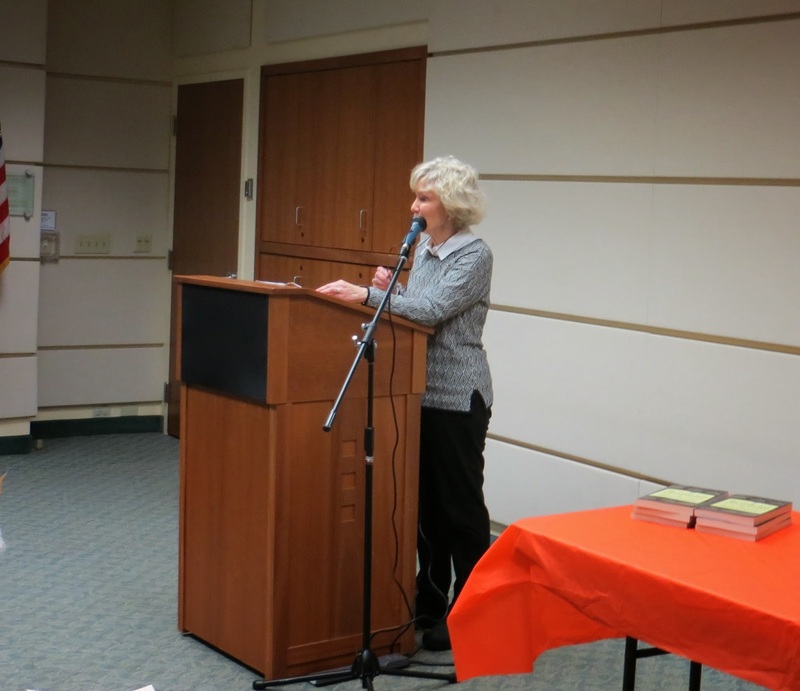 Then the book also received some local attention with an article in the online newspaper, The Jersey Tomato Press. The article is titled Crafty year round, not just for season of the witch: The Crafty Poet. A few weeks ago I was invited by poet Adele Kenny to be a guest blogger at her blog, The Music In It. 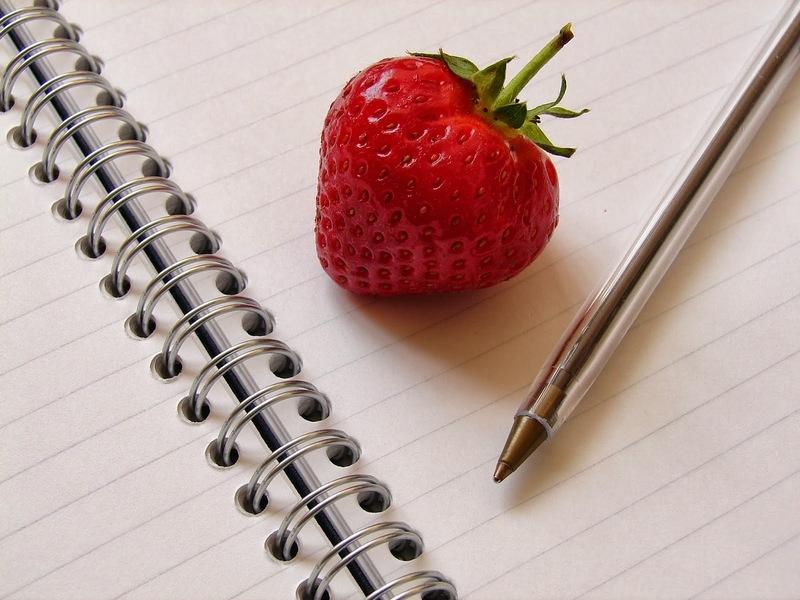 Adele posts a new prompt every Saturday and recently began inviting other poets to contribute a prompt. 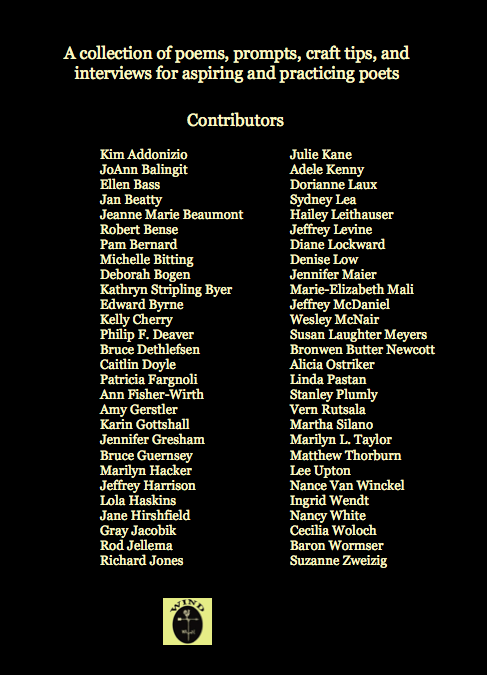 My contribution is The Word Chain Poem, which appears in The Crafty Poet. Adele also appears in my book with a Craft Tip on Imagery and a model poem from her collection, What Matters. 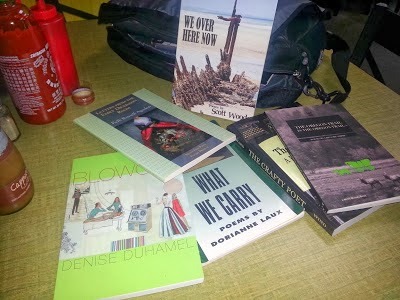 I was also happy to receive this lovely, unsolicited testimonial: "I was just at a 4 day retreat with two poet friends. Each of us had a copy of your book. And we used several prompts. As a result we walked away with about three new poems each and several revisions of old ones. Thank you for your newsletter and your book!" 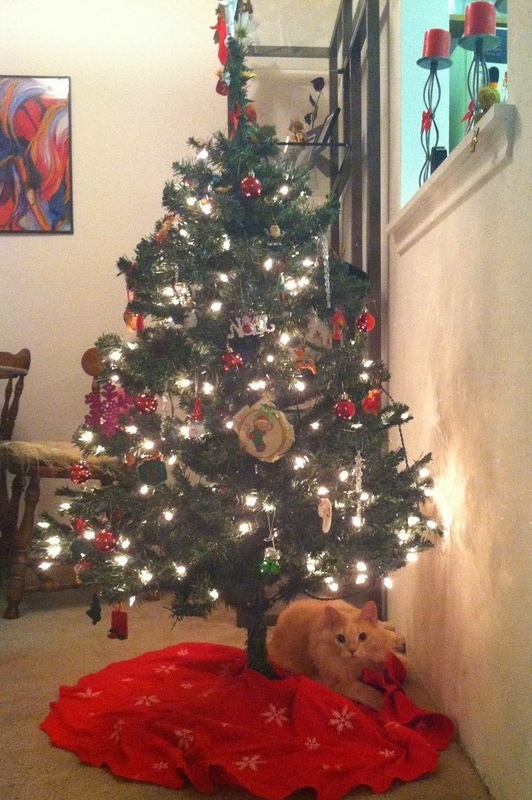 How perfect is that? This is exactly what I want my book to do, i.e., provoke new poems and improve ones in progress. And there's a book party coming up for The Crafty Poet on Sunday, November 10! 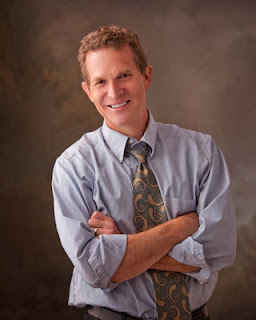 Ken Ronkowitz, one of the contributors to the book, has posted the details and information about The Crafty Poet at his blog, Poets Online. 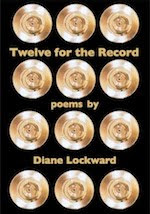 Twenty poets from the book will be reading, including Ken and Adele. 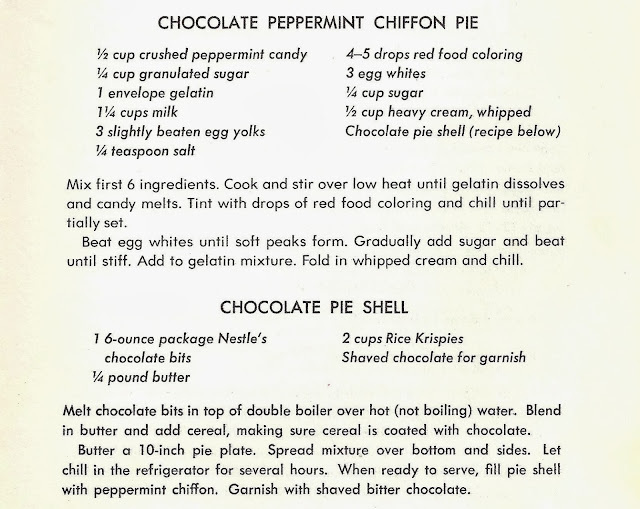 Ken has a sample poem in the book. 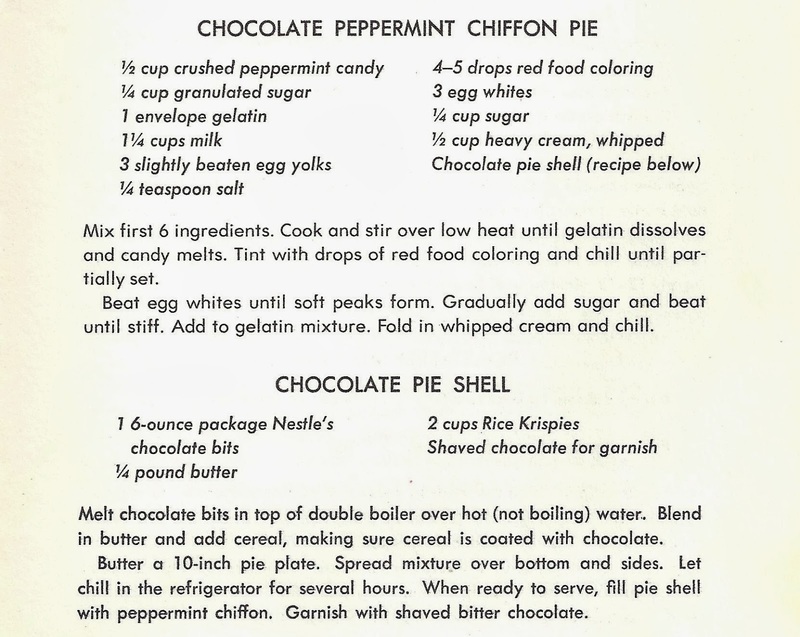 I'll be baking cookies for this reading. Also on the list of good news: two Pushcart Prize nominations. The first came from Rose Red Review for my poem, The Color of Magic, which appears in the current issue. The second Pushcart nomination is for Original Sin from Naugatuck River Review. This poem appeared in the spring issue. I like good news so much better than bad news. The best that can be said of bad news is that it makes us so much more grateful for the good news. And I am grateful. Thank you, Universe. 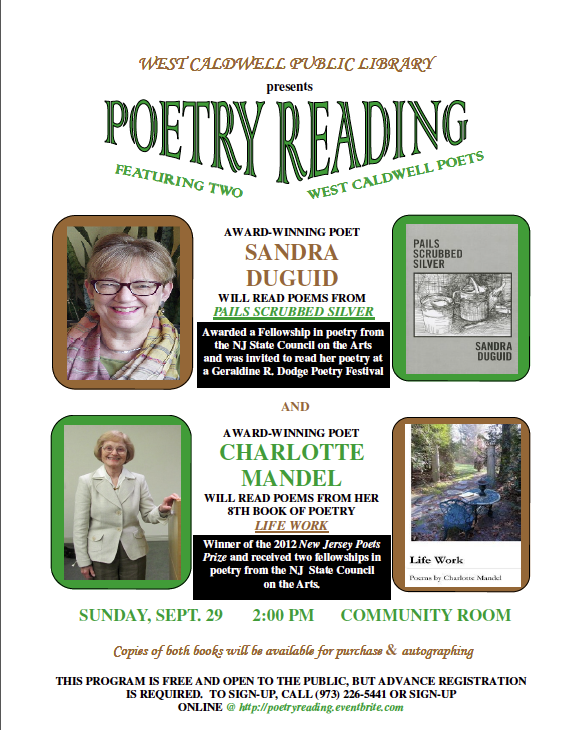 Charlotte Mandel is our guest today for the Poetry Salon. 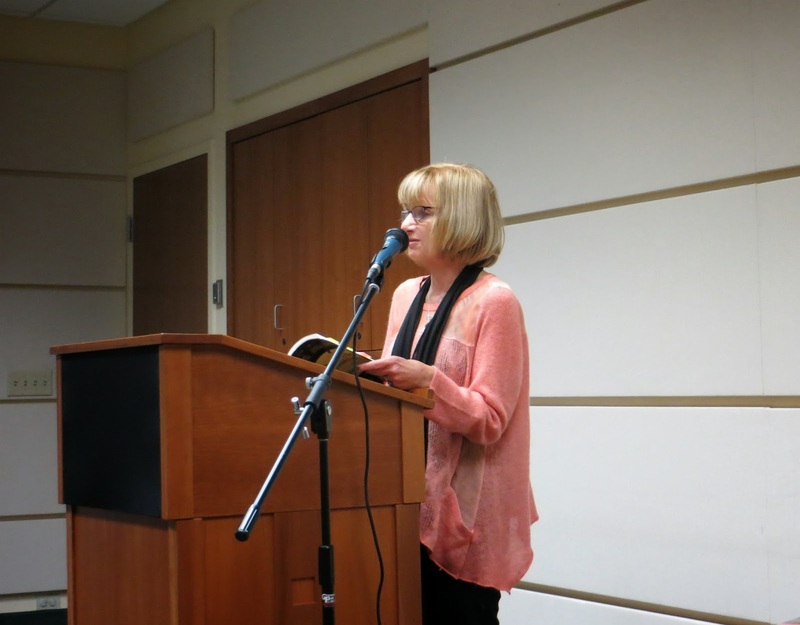 Her new collection of poems, Life Work, is her eighth book of poetry. Her previous books of poetry include Rock Vein Sky and two poem-novellas of feminist biblical re-vision— The Life of Mary, and The Marriages of Jacob. 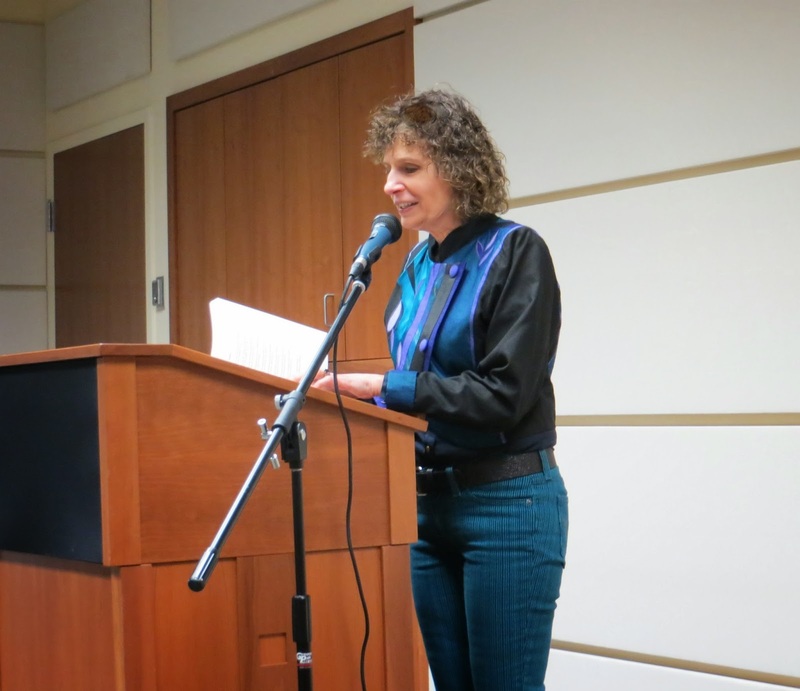 Charlotte began writing poetry in midlife, went back to school and earned her MA. She founded and coordinated the Eileen W. Barnes Award for older women poets and edited the anthology, Saturday’s Women. 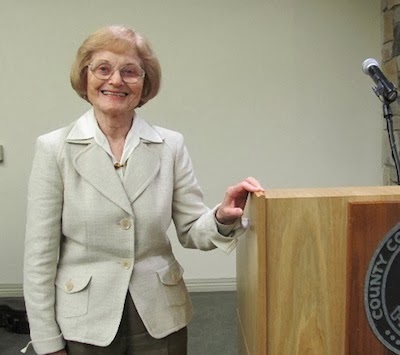 She recently retired from teaching poetry writing at Barnard College Center for Research on Women. Her awards include two fellowships in poetry from the New Jersey State Council on the Arts, the Woman of Achievement Award from NJ Business and Professional Women, and the 2012 New Jersey Poets Prize. Diane: You have had a long career as a poet and have published several earlier books. Tell us how this book differs from those earlier books. Or do you see it as a continuation of that earlier work? Charlotte: I come to my keyboard or notebook looking not for answers but for questions. The questions are wordless, the asker anonymous. To hear the questions, I must listen to silences within, and translate them into language. My early poems, begun in midlife, often show language working through a process of discovering my own voice. The poems in my first book, A Disc of Clear Water, focus intently on life experiences as wife-daughter-mother and pay close attention to nature. Those concerns have continued in my poems, with changes as my life and work evolved. My later collections, Sight Lines and Rock Vein Sky, extended previous themes such as marriage and nature, but added poems catalyzed by terrorist acts, humanity’s sufferings from ongoing wars and environmental damage, themes that continue to resonate in my new book, Life Work. Loss of my husband after our long marriage informs the first part; a section is devoted to poems dealing with art and artists; other sections include poems such as “News of the Day Pantoum,” “Sight Loss,” and poems about joy in the birth of a new child. Diane: Are there particular poetic techniques you like to use? Charlotte: Often, I’ll work with received forms, or an original form may be developed by a poem during creation. The discipline enables my unconscious self to speak because my critical barrier self is engaged by concentration on details such as line order, syllabic count, rhyme. I discovered this ploy when working on my first sestina for a workshop class assignment. Freed by my absorption in the crossword puzzle aspect, a repressed childhood memory surfaced to become dynamic content. Metaphor, for me, evolves with the poem. To start with a conscious comparative notion may be useful as a way of honing language skills, and can produce an attractive invention, but it may have left out the quality of a silent source. Charlotte: “Life Work” is the title poem, a crown of seven linked sonnets, where the last line of the first sonnet becomes the first line of the second, and so on. The crown form requires the last line of the seventh sonnet to be the first line of the beginning sonnet. The poem takes off from a painting by Edouard Vuillard. Imagining the view of the young woman in the painting, I went into the progress of a young couple’s courtship and lifetime marriage. The poem became surprisingly autobiographical. The idea of “life work” is consistent with a retrospective of an artist’s paintings. Similarly, the concept seemed an accurate overview of the new collection. Poetry and life are intertwined in my book. 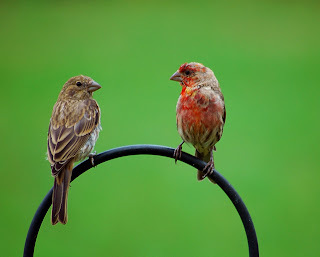 Charlotte: My son-in-law, Vincent Covello, has created a marvelous garden at their country home in Long Island and takes beautiful photographs of the various areas. At present, we are completing a forthcoming book of his garden photographs opposite poems I’ve written in response. When seeking cover art for Life Work, I asked him for a photograph that would show a garden view that could evoke the book’s quality. I chose this one for its intrinsic beauty of color and place, and because I have loved to sit at that antique table writing in my notebook. This photo captures the sense of a path towards sunlight, green woods, and open sky. Charlotte: A poem is not fulfilled until it is shared by a reader or listener. I hope that the book may offer comfort by articulation of life experiences related to their own, that they may take pleasure in the sounds and images, as in music, to elicit impressions of their own. It is wonderful to discover that the work I have done in solitude may resonate with feelings and thoughts of another person. Charlotte: Writing this poem, “Crossing the Calendar Bridge,” helped me deal with an important year of transition. The poem, a sequence of three linked sonnets, begins as elegy, reenacts the start of my poetic self-discovery, and finds a way to transcendence. rises and falls with my uncertain breaths. might I foretell his welcoming embrace? I did not always welcome his embrace. reassured by unwritten “good-girl” rules. off-key, happy, lyrics in differing language. Our rhymes were true or near or simply free. Five stages of grief compose an elegy. and recognize the shape of me, unbroken. as the glittering ball slides down Times Square. all moments lived are sparks to genesis. Readers, please enjoy a glass of chilled Prosecco, some imported cheeses, crackers, and seedless green grapes. 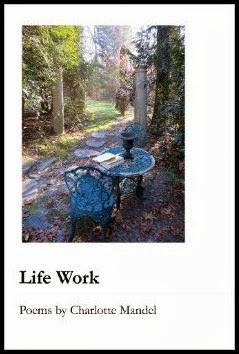 Please be sure to pick up a copy of Charlotte's book, Life Work. I'm very pleased to have Lance Larsen as the featured poet for The Poet on the Poem. I think you'll enjoy his poem and his discussion of it. Then I'm also sure you'll want to get his new book, Genius Loci. 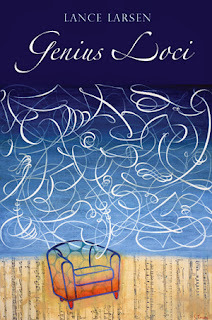 Lance Larsen’s fourth collection of poems, Genius Loci, was recently published by the University of Tampa Press. His earlier collections include Backyard Alchemy (2009), In All Their Animal Brilliance (2005), and Erasable Walls (1998). His work appears in such venues as Georgia Review, Southern Review, Ploughshares, Poetry, The Pushcart Prize Anthology, and Poetry Daily. He collects antiques, plays basketball, occasionally walks on his hands, grows daylilies, hikes, and loves Indian and Thai food. He sometimes collaborates with his wife, Jacqui Biggs Larsen, a painter and multi-media artist, who provided the art for the cover of Genius Loci. Since 1993 he has taught literature and creative writing at BYU, where he currently serves as associate chair. In 2012, he was named to a five-year term as Utah Poet Laureate. Today's poem comes from Genius Loci. in my metaphor? What did you expect from a man? If only I had an estrogen factory of my own. eyes blissing out, body serenely electric. the Ericas of the world, but the Erics? and ran to the front of the bus. open the door at the intersection. for bowling Saturday night?—take her easy. begins, how molecules of longing map the body? see each other again in this time zone. on our hands to keep from adding amens to the air. DL: I admire this poem for the risks it takes. I'm struck, for example, by the audacity of titling the poem with a word that most likely almost nobody knows. Why an ode to "jouissance"? LL: Ever since discovering the term in a French feminism class at Rice University, I’ve been fascinated by jouissance—the notion that women enjoy a less localized, more all-pervasive evolution of pleasure. How could I not be fascinated? It’s a pretty heady experience to read Cixous, Kristeva, and Luce Irigaray for the first time. My title might be off-putting to some, at least at first, but I’m old-fashioned enough to believe that readers, especially of poetry, have dictionaries attached to their bodies the way they have eyelashes and ears. The challenge was to write a poem that dramatizes the differences between male and female desire in such a way that the reader doesn’t need a dictionary at all. Whether I’ve pulled that off is a separate question. I’m not entirely clear now what got me to the title. Either I started with jouissance and canvassed my brain for the kind of sensory detail that would bring the term alive. Or I had these unshakeable sensory impressions and went looking for the appropriate catalyst that would allow Erica and Eric to co-exist in the same poem. 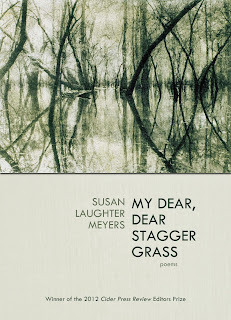 While the conceptual dimension of a poem is crucial, the particulars are what provide ballast and launch: the sound of the words, the image, the metaphors, the syntax, the sublime grit that sticks a poem to the page. DL: Tell us about your use of direct address and the function of the questions you pose to Jouissance. LL: One can write moving odes in third-person, but these often tend towards a chaste distance poetically—observation rather than drama. I like the intimacy one gains with direct address. As one critic says—I think it was Barbara Smith discussing Gwendolyn Brooks’ “the mother”—if one can create a you that can hear and understand, one in turn creates an I worth listening to. Something like that. Apostrophe is one of the most shamelessly artificial of literary devices but it pulls us in nonetheless, and the great poets are not above using it. Think, for instance, of Keats in “Ode on a Grecian Urn”: “What men or gods are these? What maidens loth? What mad pursuit? What struggle to escape?” Most odes have a circular quality to them, an argument that moves away from the speaker then returns. Direct address helps to facilitate this movement of thinking on the page. DL: Your speaker straddles the line between rudeness and kindness as he names his cousin "simple Erica" but then transforms her into the dispenser of pleasure, someone who "purrs" and has "liquid gold / on her head." Tell us about the craft that went into this balance. 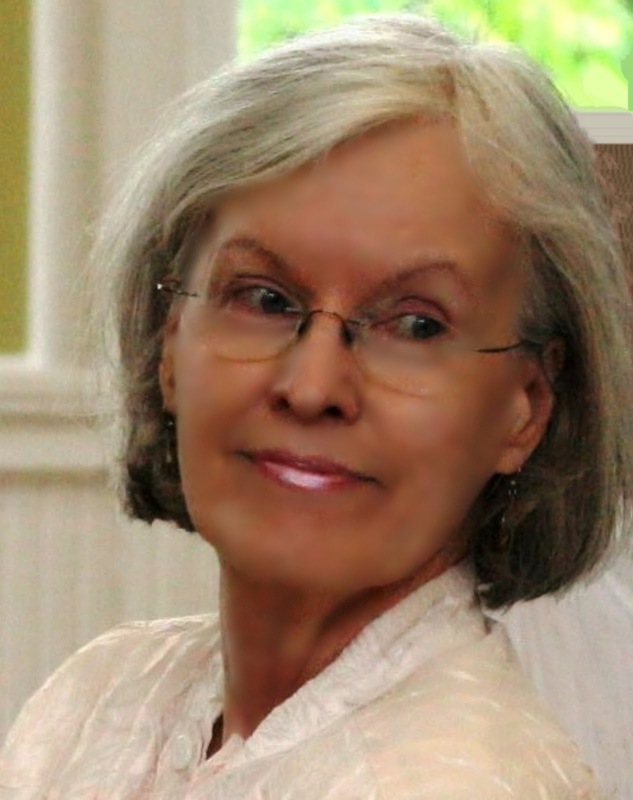 LL: As a beginning writer I was driven by a search for felicitous language and image. While I’ve never abandoned these pursuits, I’m increasingly interested in shifts in tone and contradiction, in irony. I like flawed speakers who get themselves into a little trouble, as this narrator does. By condescending to Erica—it is very un-PC to use the word “retarded,” for example—he digs a hole for himself, which he then has to crawl out of. Of course, in his double mindedness, he introduces an Erica that is more contradictory and multivalent, more human, than if he had settled for a character of simple sweetness and light. In a way, the poem dramatizes the dangers of overthinking—that is, of privileging book smarts over more authentic primary experience. What is it Keats says in one of his letters? “Oh for a life of sensations rather than of thoughts.” In the end, the narrator ends up envying Erica for her life of sensation, for her ability to give herself to simple pleasures, pleasures which I hope the reader can taste in the language of the poem. DL: At the midway point you skillfully turn the poem, moving from the feminine to the masculine. In effect, your speaker gets what he wants and makes Jouissance do his bidding. How did you contrive to make the poem turn so smoothly? LL: I don’t know about jouissance doing his bidding. Perhaps that turn is more my lucking into something. In the middle of a draft, frustrated because I didn’t know what should come next, I noticed that the word “Eric” (which happens to be my middle name) was embedded in “Erica.” An obvious thing to most readers but it wasn’t to me. I love the story about Yeats reading final galleys of one of his books. In describing a woman’s face, he had written “mass of shadows,” but his phrase came back from the printer as “mess of shadows.” He was wise enough to keep the mistake. Poems often know more than their creators, and when we’re wise enough, we know when to keep mistakes and serendipitous accidents. The poem may turn smoothly, but this doesn’t mean we should trust it—at least not completely. Some readers may see this final move in the poem as a kind of male appropriation, which doesn’t bother me in the least. The poem is about vicarious experience. About being in one body and many bodies simultaneously. Or wanting to be. Though the poem ends in celebration, I’m well aware that it begins in lack. In other words, I’m open to an ironic and more skeptical reading. DL: There's a formal elegance to this poem. You have eight 6-line stanzas and fairly even line lengths. At what point in writing the poem did you decide to use 6-line stanzas? What manipulations had to occur? LL: I committed to six-line stanzas midway in the writing after I had much but not all of the poem’s language. This decision propelled the poem through an additional series of revisions. I tightened and re-configured, cutting whenever possible. I’m one who winnows and distills down. Regular stanzas invited me to see the poem as a series of crescendoes and pauses accumulating over two pages: how to make that progression as organic as possible? I always work for a mix of end-stopped and enjambed lines, which replicates breathing and movement, hesitation and lunge. I like this stage of revision, not unlike my father tying flies, which he used to do late in the evening. Without the close work of tweezers and magnifying glass, I know I’ve got little more than chopped prose. 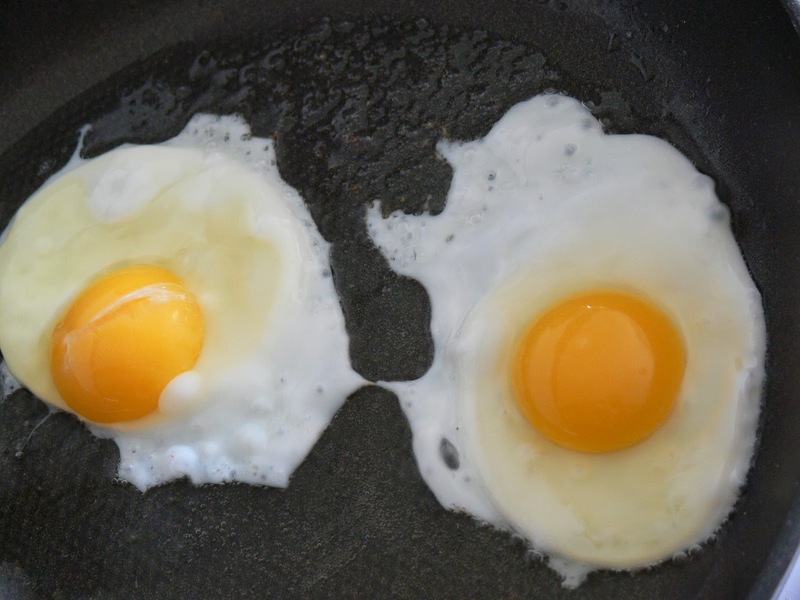 According to Sandra McPherson, a successful line holds at least two surprises. If one of my lines fails this test, if a stanza isn’t compelling in its own right regardless of the larger task it’s doing in the poem, then I have more work to do. Readers, please enjoy Lance's reading of his poem. There's a Goodreads Giveaway for The Crafty Poet in progress right now. It runs until September 4. Just click the "Enter to win" button below and you'll be eligible to win one free copy. Limited to US residents. 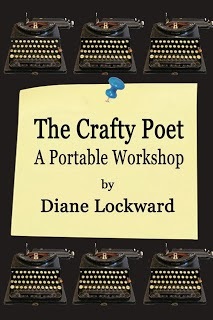 A few weeks ago I ran a contest connected to my new book, The Crafty Poet: A Portable Workshop, which includes contributions of poems and craft tips from 56 poets, 13 of whom are current or former state poets laureate. The contest required people to match the 13 with their respective states. The winner was Gary Glauber. The prize was one copy of the book. Gary's book is on its way to his house right now. 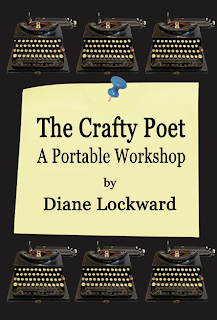 The Crafty Poet: Just Published! 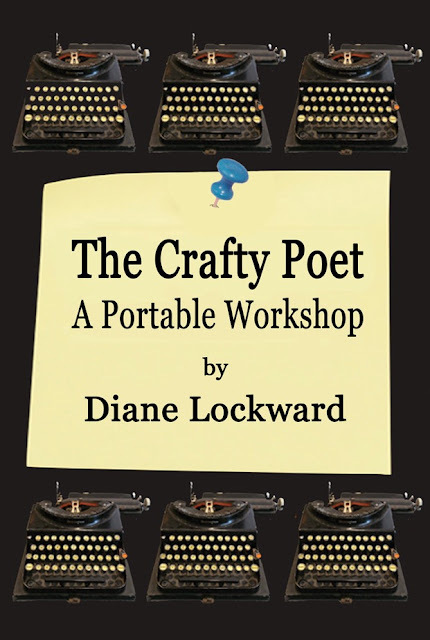 My new book, The Crafty Poet: A Portable Workshop, is now officially published! I'm happy with it from cover to cover. 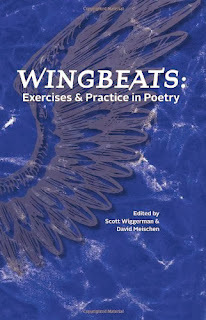 So many wonderful poets contributed to this book—more than 100 of them. 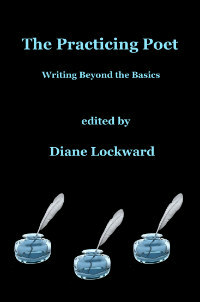 You'll find twenty-seven Craft Tips and twenty-seven model poems from highly regarded poets, including thirteen former and current state Poets Laureate. 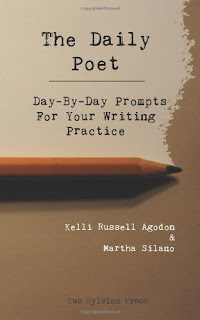 Each model poem is followed by a prompt and two sample poems written to the prompt. You'll also find ten poems with Q&As between the poet and me. 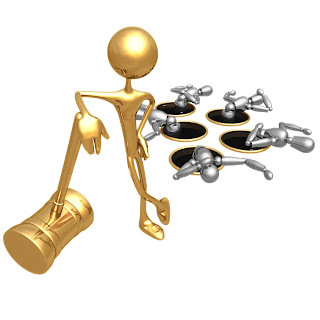 To make sure you stay busy, there are also ten bonus prompts. This book can be used by the individual poet studying and working independently at home. Or it can be used in the classroom or workshop. I hope you'll soon find The Crafty Poet in your hands and that it will offer you much to think about. Of course, I also hope that it will stimulate you to write some new poems. One of the nicest compliments I've had on the book so far came from my publisher who said that he'd had a hard time doing the edits as he kept wanting to stop to write a poem.